Silver Spoon Entertainment - Live Event Excellence Since 1995! : Phenomenal 40th Festivities! SSE was excited to celebrate with Mel & Linda and all their family and friends, for their BIG 40th Wedding Anniversary celebration! Months of planning and preparation came together perfectly, and I don't know that I've ever seen the guests of honor more surprised! It truly was a night to remember, and one we hope they'll never forget. 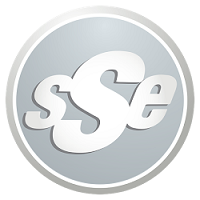 A big thanks goes out to Lauri, Amy, and the whole SSE crew for pulling together to make this one happen, it was definitely a team effort all the way. Lordy Mama...I feel my temperature risin'!